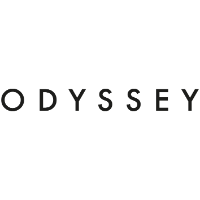 Launched in 2013, data-driven creative marketing agency Odyssey delivers truly measurable returns on marketing investment for iconic premium brands including Bang & Olufsen and BoConcept. MD Richard Rowles hired Rainmaker Consulting with a brief to drive the next stage of the agency's growth by delivering proactive, insight led new business outreach - creating new opportunities across a carefully selected set of target sectors. Following the appointment of Odyssey by luxury five star hotel group Exclusive - a major new business win that originated from a meeting opportunity created and developed by Rainmaker - we caught up with Richard to hear how it came about. How did Rainmaker help Odyssey to find and then approach the Exclusive Group opportunity? "Rainmaker provided comprehensive information regarding the opportunity, giving a thorough analysis of the meeting. We were kept up to date throughout the pitch process as we went from the final 5 to final 2 agencies, and felt fully prepared to approach the opportunity confidently." How did Rainmaker help to prepare you for the pitch? "The information we were provided was clear and up to date. We were able to get a steer on the pitch credentials we were going to present, and feedback was provided to help us enhance the chance of winning. We also received a steer on the sector trends, and were able to tweak our pitch based on some of the other conversations we had with similar Hotels and Country clubs from the beginning of the Rainmaker engagement." What impact has acquiring such a large retained client this had on Odyssey’s growth prospects? "The most important thing that this win provides is the expansion of our sector experience and portfolio, which will help to bring in more clients of this kind in the future, opening up more new doors, and providing us with more overall credibility. Also, the opportunity to expand the team and re-invest to grow Odyssey is extremely positive."